A yukata (浴衣) is a Japanese garment, a casual summer kimono usually made of cotton. People wearing yukata are a common sight in Japan at fireworks displays, bon-odori festivals, and other summer events. The yukata is also frequently worn after bathing at traditional Japanese inns. 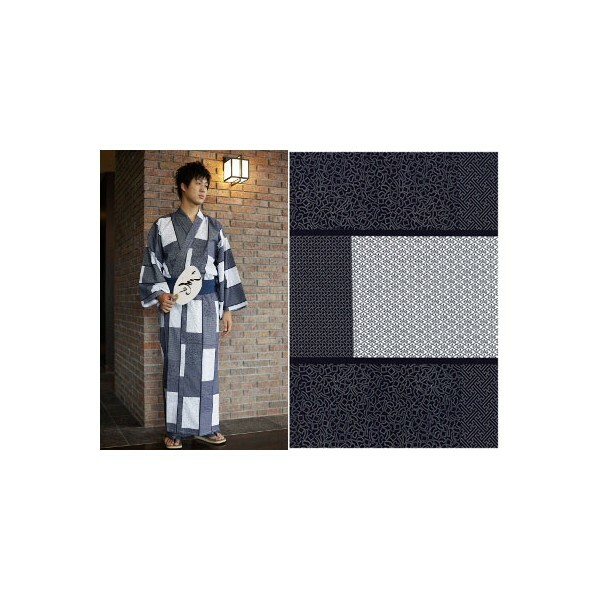 Though their use is not limited to after-bath wear, yukata literally means bath(ing) clothes. Like other forms of traditional Japanese clothing, yukata are made with straight seams and wide sleeves. 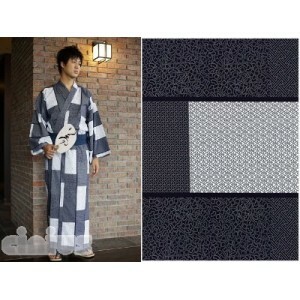 Unlike formal kimono, which are made of silk, yukata are typically made of cotton or synthetic fabrics, and are unlined. Traditionally yukata were mostly made of indigo-dyed cotton but today a wide variety of colors and designs are available. As with kimono, the general rule with yukata is that younger people wear brighter colors and bolder patterns than older people. A child might wear a multicolored print and a young woman, a floral print, while an older woman would confine herself to a traditional dark blue with geometric patterns.